TETAM Building is at Boğaziçi University Kandilli Campus. TETAM Building was initially constructed as TAM Project Building and went into service in June 2009. (TAM Project Building Opening Invitation). In 2013, TAM Project Building has been allocated to TETAM. TETAM Building has approximately 2600 sq.meters of covered space. TETAM Building has 29 Offices, 2 Open Seating Area with 88 cubicles, 8 Research Labs, one Meeting Room, one Seminar Room, one Loung, one Technical Office, one Systems Room and 3 Network Room/Storage Area. In 2015, a new seminar room and a large conference hall is added to the building. TETAM Building Details (pdf) (in Turkish). 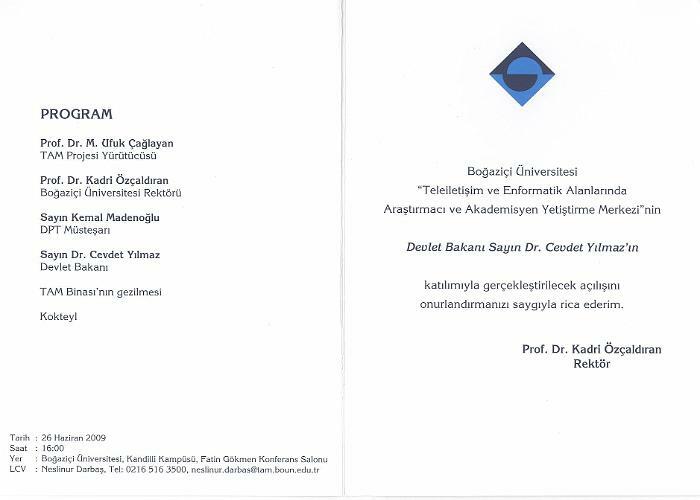 For directions to Kandilli Campus and TETAM Building, please go to Contacts Menu.